Joseph and Mary Romero of Chimayo, N.M., found that their mortgage note was assigned to the Bank of New York three months after the same bank filed a foreclosure complaint against them; in other words, Bank of New York didn&apos;t own the loan when they tried to foreclose on it. Glenn and Ann Holden of Akron, Ohio, faced foreclosure from Deutsche Bank, but the company filed two different versions of the note at court, each bearing a stamp affirming it as the "true and accurate copy." Mary McCulley of Bozeman, Mont., had her loan changed by U.S. Bank without her knowledge, from a &dollar;300,000 30-year loan to a &dollar;200,000 loan due in 18 months, and in documents submitted to the court, U.S. Bank included four separate loan applications with different terms. All of these examples, from actual court cases resolved over the last two months, rendered rare judgments in favor of homeowners over banks and mortgage lenders. But despite the fact that the nation&apos;s courtrooms remain active crime scenes, with backdated, forged and fabricated documents still sloshing around them, state and federal regulators have not filed new charges of misconduct against Bank of New York, Deutsche Bank, U.S. Bank or any other mortgage industry participant, since the round of national settlements over foreclosure fraud effectively closed the issue. 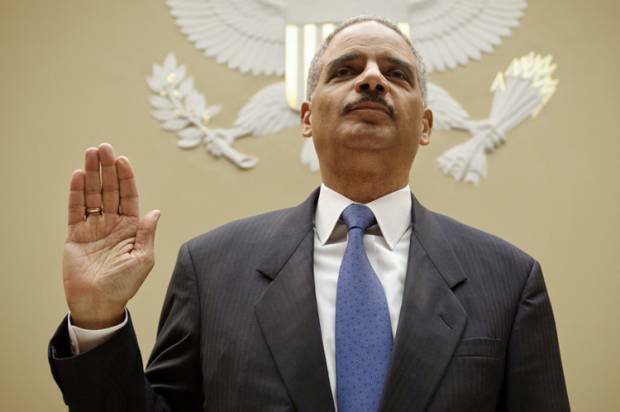 Many focus on how the failure to prosecute financial crimes, by Attorney General Eric Holder and colleagues, create a lack of deterrent for the perpetrators, who will surely sin again. But there&apos;s something else that happens when these crimes go unpunished; the root problem, the legacy of fraud, never gets fixed. In this instance, the underlying ownership on potentially millions of loans has been permanently confused, and the resulting disarray will cause chaos for decades into the future, harming homeowners, investors and the broader economy. Holder&apos;s corrupt bargain, to let Wall Street walk, comes at the cost of permanent damage to the largest market in the world, the U.S. residential housing market. By now we know the details: During the run-up to the housing bubble, banks bought up millions of mortgages, packaged them into securities and sold them around the world. Amid the frenzy, lenders failed to follow basic property laws, which ensure legitimate transfers of mortgages from one legal owner to another. When mass foreclosures resulted from the bubble&apos;s collapse, banks who could not demonstrate they owned the loans got caught trying to cover up the irregularities with false documents. Federal authorities made the offenders pay fines, much of which banks paid with other people&apos;s money. But the settlements put a Band-Aid over the misconduct. Nobody went in, loan by loan, to try to equitably confirm who owns what. Now, the lid banks and the government tried to place on the situation has begun to boil over. For example, Bank of America really wants to exit the mortgage servicing business, because it now finds it unprofitable. The bank entered into a deal to sell off all the servicing for loans backed by the Government National Mortgage Association (often known as Ginnie Mae). But Ginnie Mae refused the sale, because the loans Bank of America serviced are missing critical documents, including the recorded mortgages themselves. If you&apos;re a mortgage servicer, and you don&apos;t possess the recorded mortgage, you probably aren&apos;t able to foreclose on that loan without fabricating the document. And Ginnie Mae made it clear that the problem could go beyond Bank of America. "I don&apos;t mean to sound like we&apos;re picking on BofA," Ginnie Mae president Ted Tozer told trade publication National Mortgage News. "I can&apos;t say if it&apos;s just BofA or not." Incredibly, this would represent the first time a government agency has actually examined loan files under its control to search for missing documents, seven years after the collapse of the housing bubble and four years after the recognition of mass document fabrication. Any effort to fix the system would start by reforming MERS, the electronic database banks use to track mortgage trades (and avoid fees they would incur from county clerks with every transfer). MERS was part of a broad settlement in 2011 with federal regulators, and they promised to improve the quality control over their database to avoid errors and fraudulent assignments. Three years later, the fixes haven&apos;t happened, and four senior officers brought in to comply with the settlement have left. MERS then tried to hire a consultant to manage the settlement terms whom U.S. regulators found unqualified for the job. The database still tracks roughly half of all U.S. home loans, and banks fear that without changes, they might have to - horrors - actually go back to recording mortgages individually with the county clerks! You know, the property law system that the nation somehow survived under for more than 200 years. The court cases in Ohio, Montana and New Mexico illustrate that the condition of mortgage documentation remains completely broken. Consistent records from the housing bubble era do not exist, and because the settlements merely tried to make the problem go away, we don&apos;t know precisely how bad a situation we&apos;re dealing with. We do know it will crop up over and over again, with costs for the whole society. The case of the Holdens in Ohio is a good example. They took out their mortgage in 2005, and it went into the MERS database, with Deutsche Bank eventually buying the loan for a mortgage-backed security. Deutsche Bank attempted a foreclosure on the Holdens in 2011, filing what they called the original promissory note from the mortgage lender, and the various assignments that transferred the loan into their possession. But separately, Deutsche Bank submitted an affidavit with a second promissory note, which had different qualities than the one in the initial filing. Both notes had stamps indicating they were the "true and accurate copy." This is obviously impossible. The 9th Judicial Court of Appeals in Ohio not only said this discrepancy raised the question of whether Deutsche Bank had possession of the note when they filed foreclosure, but cited numerous other examples of the same issue in separate court cases throughout Ohio. The court overturned the summary judgment for foreclosure on the Holdens’ home. The Holdens were lucky; they found a clear case of fabricated documents, and a sympathetic court to hear them out. More commonly, homeowners in trouble on their mortgages don&apos;t have the money to pursue justice against large financial institutions with limitless funds. If the banks lose a few cases, that&apos;s an acceptable loss compared to the thousands they win uncontested. Moreover, many homeowners I talked to don&apos;t want to go public, even when they win cases in court, because ultimately, they still have to negotiate with their servicers for an affordable resolution. "Who cares, these people didn&apos;t pay their mortgages," respond many - even judges - to this chaos. But anyone with an interest in these loans can be affected by a flawed paper trail without clear chains of ownership. Investors in mortgage-backed securities, including public pension funds, get cheated on loans in their portfolios where nobody can establish ownership. Taxpayers bear the expense of dragged-out foreclosure cases with false documents clogging state courts; efforts to speed up foreclosures in states like Florida have not succeeded, precisely because the raw materials - the documents - are faulty. Homeowners who never missed a payment could run into trouble when title issues prohibit them from selling the house. And I can give you a giant stack of cases of servicer-driven defaults, where false documents merely added another layer of illegality. Simply put, if you have a mortgage, you are in jeopardy. And with mortgage lending standards loosening, and the government trying to kick-start the same private securitization market for mortgages we saw during the bubble, we could easily see the same shoddiness return on new loans. There was another solution available here, if Holder&apos;s Justice Department didn&apos;t throw up its hands and settle. Judges could have disassembled the broken mortgage system, and appointed a special master to handle all loans in question. It may have taken years, but the preservation of the public property system makes the time and expense worth it. Unless you would rather kneel to the wishes of the financial industry to keep everything rolling, and let the wound fester. If you or I pick the lock on a house and try to steal everything in it, we&apos;d probably go to jail. But if I were a bank, and I wrote down on a piece of paper that I simply owned that house, I&apos;d get away with it. That&apos;s the sad legacy of trying to cover up massive fraud instead of dealing with it.